Home > Facts and Updates About Dance Industry > Can Dance Help My Child Gain Confidence? Can Dance Help My Child Gain Confidence? Some children are quieter than others. Some enjoy attention while others prefer to stand at the sidelines. If you’ve enrolled your shy child in dance lessons or are concerned about if this is the right option for them, you’ve come to the right place. Dance lessons for kids can boost their self-confidence and help them build communication skills and have a healthy way to express their feelings. It also encourages them to work with others and can help them make new friends. Curious about how else dance classes can help build your child’s confidence? Keep on reading to find out! Does Dancing Make You More Confident? Group classes promote interaction among students as they learn dance choreographies and routines. This interactive and active learning environment will provide your child with opportunities to build their social and teamwork skills as they make new friends. The new dance steps, sequences, and figures can improve motor coordination, cognitive stimulation, memory, and spatial awareness, which are essential to other activities they may experience in their life such as school sports. All dancers dress the same, which can create a sense of unity and familiarity amongst students, including shy ones. Most dance schools train students in preparation of an annual performance or show. For the performance to be a great experience, students must work as a team and practice often. If your child is shy and lacks social skills, dance classes provide a safety net of rules and repetition to help them develop good habits and a routine they can become familiar with. As they become familiar with the routine, they can also become familiar with other students. At first, it may be challenging for students to master the technical elements of a routine, but with persistence and practice they will learn that they can succeed if they don’t give up. This can build a child’s confidence as they notice themselves improving throughout the classes. Dance classes teach discipline, dedication, and practice, and that these skills are vital to success. Our encouraging and professional dance teachers can boost your child’s confidence by pointing out areas that they are growing in. After patience and endurance, your child can overcome challenges like performances and tests. When students see themselves succeed, they will be more confident to work hard towards the next step. This valuable life lesson of overcoming challenges can be taught through dance classes. Moving to the music can boost your mood and make you feel great. If you’ve ever watched online videos of babies bopping to tunes, you know what we’re talking about. Music and dance can take children away from stressful thoughts and frustrating situations, and encourage them to express themselves in a healthy, physical way. The exercise aspect of dance also encourages healthy, positive hormones, which can stabilize moods and lead to a healthy lifestyle. Slouching is a sign of low confidence, especially when accompanied with droopy eyes and a pout. The discipline of dance encourages proper stance, and how to express physical grace, strength, and confidence. Teachers will use imagery to help students learn how to hold their head up high, stand straight, and gracefully dance, which helps them feel more confident. Dancers learn from early on that each body is unique and created differently. Every dancer will have the opportunity to learn which special qualities make them stand out, and which qualities make them part of a team! Dance classes can encourage a positive body image by teaching children to love their bodies and develop a healthy, active lifestyle from a young age. 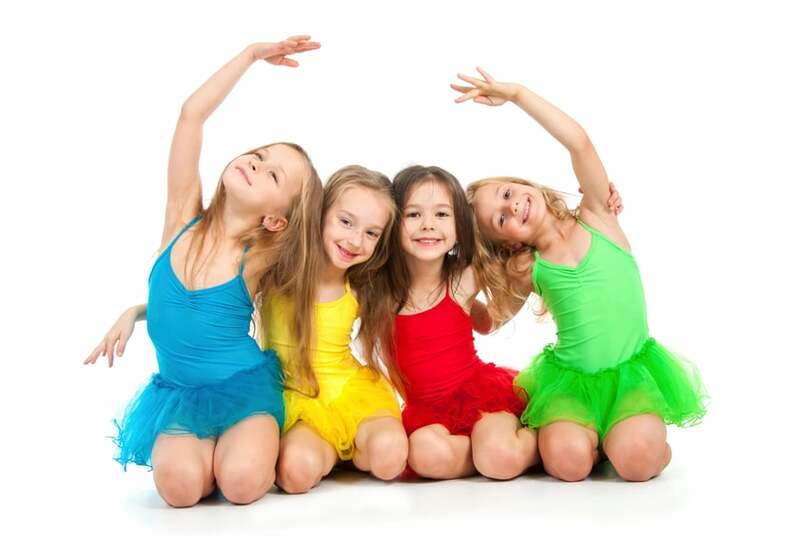 Dance classes for kids are a great way to help your shy child build strong, caring friendships. Your child may have troubles with fellow students at school, but the smaller, more intimate dance group can be a healthier environment. Teachers work intimately with students to make sure everyone is respected and treated fairly. The environment is positive and students learn how to work together, and encourage each other’s success. This is a great place for your shy child to build bonds and grow in confidence. Dancing in front of parents can be scary enough for shy students, but with gradual steps forward, your child will someday perform in front of a larger audience. This training and experience helps kids learn how to be courageous as they perform in front of others and be joyful when they hear cheering and applause. Dance can help students take pride in their hard work and give them confidence in their abilities. Children who struggle with simple tasks can feel clumsy and embarrassed. Dance classes allow students to make mistakes and learn from them, and work with routines to develop skills and patterns. Dancing also involves the use of both sides of the brain: technique and artistry. Dance increases brain productivity and attention spans, which can help your child do better in all areas of their life. Listening to music can also help children think and express themselves in more creative and personalized ways. Why Choose Our Dance Classes? At Performing Dance Arts, our experienced and talented teachers will help your child improve their confidence levels and excel at something they enjoy. They will make new friends, develop social skills, stay in shape, learn how to work hard, and experience joy when they meet their goals. At our dance studios, you child can learn to express themselves in a healthy, positive way, in an environment that is safe and respectful. Our professional studios are fully equipped to train students of all experience levels, so your child can learn at their own pace. To learn more about our dance programs and styles, and to sign up your child for classes, contact us or visit us at one of our locations.